What I like about this unique Malaysian dish is that no two restaurants cook or serve it the same. Some come with mashed potato, some with chips and this one with wedges. Others may have fresh garden peas on it, while some use pulpy canned ones (which I like). The signature is in the gravy which should contain Worcestershire sauce but then again, it varies so considerably. This version is from Auntie Kopitiam in tiny Kuala Selangor town. The eatery is halal and wi-fi enabled. 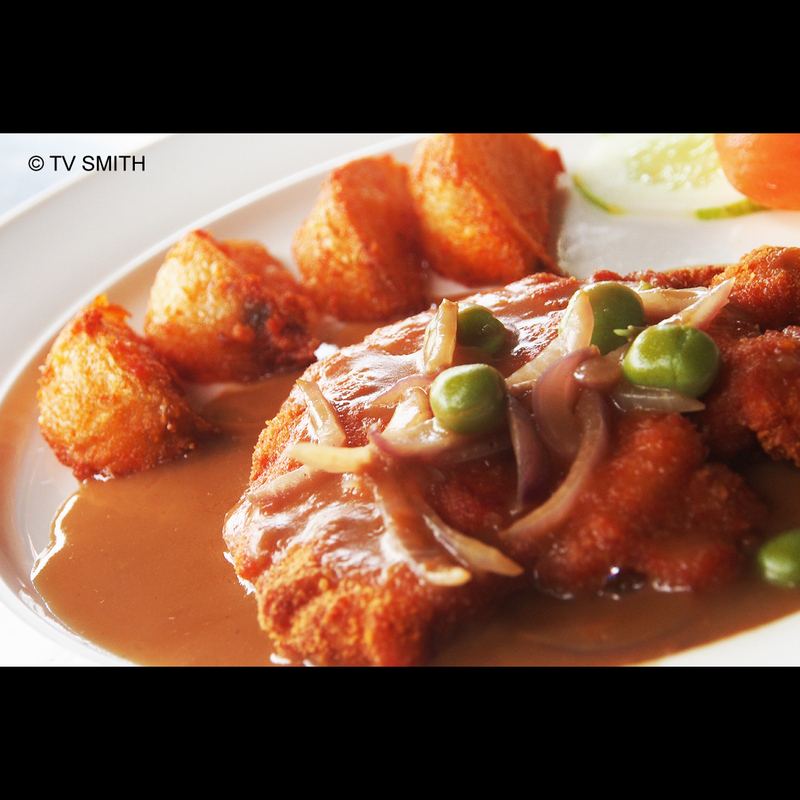 See also my earlier post on Yik Mun’s Chicken Chop. Olympus OM-D, ISO 800, f6.3, 1/100 sec. This entry was posted in Food, Instagram, Olympus OM-D, Photography and tagged chicken chop, eating out, kuala selangor, olympus, om-d by TV Smith. Bookmark the permalink. tv smith. all rights reserved.